Founded in 1883, Auckland is the country’s largest university with over 40,000 students, nearly 10,000 of whom graduate annually. The University of Auckland was formally opened on 23 May 1883 as Auckland University College, part of the University of New Zealand. A disused courthouse and jail served as premises for the 95 students and four teaching staff. Unitec is New Zealand’s largest institute of technology, with more than 20,000 students studying over 150 work-oriented programmes. We offer leading employment-focused education at our two campuses in Mt. Albert, and Waitākere. 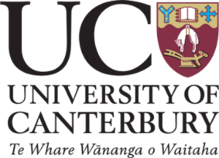 Established in 1873, Canterbury College, as the University was originally known, was only the second university in New Zealand. Housed in graceful stone buildings on a central city block, it was dependent for survival on rents from high country farms with which it had been endowed by the Canterbury Provincial Council. 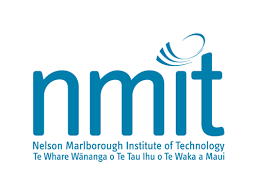 Nelson Marlborough Institute of Technology is a high quality Government owned tertiary education provider which is based at the top of the South Island in New Zealand. For over 100 years, Nelson Marlborough Institute of Technology has been providing high quality tertiary education for students just like you. Our internationally talented staffs are entirely dedicated to giving you the real world skills and a recognised qualification to embark on the career you deserve. The Nelson Technical School (the forerunner of NMIT) was set up in 1904 and the building was designed by Stead Ellis, a trained architect and secretary to the Nelson Education Board. The doors opened in 1905, initially offering classes in cookery, engineering, woodwork, commerce, craft, secretarial and plumbing.